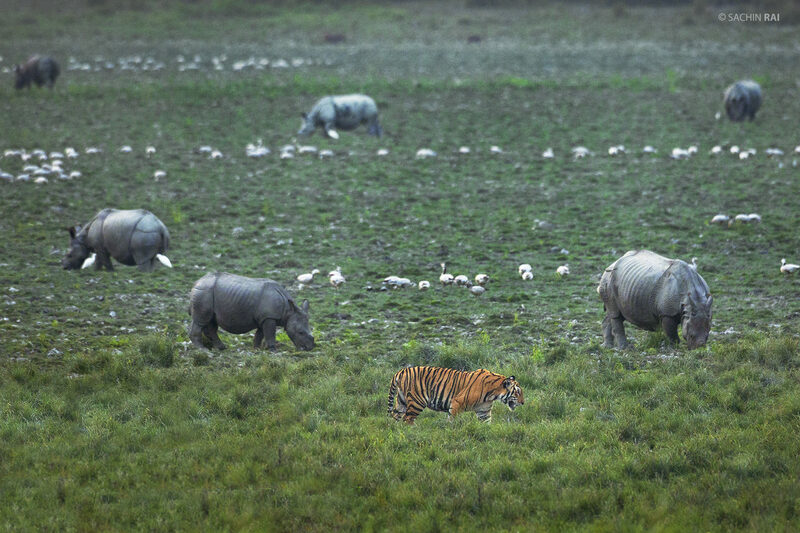 A male tiger walks past some grazing giants, the Great Indian One Horned Rhinoceros in Kaziranga, India. 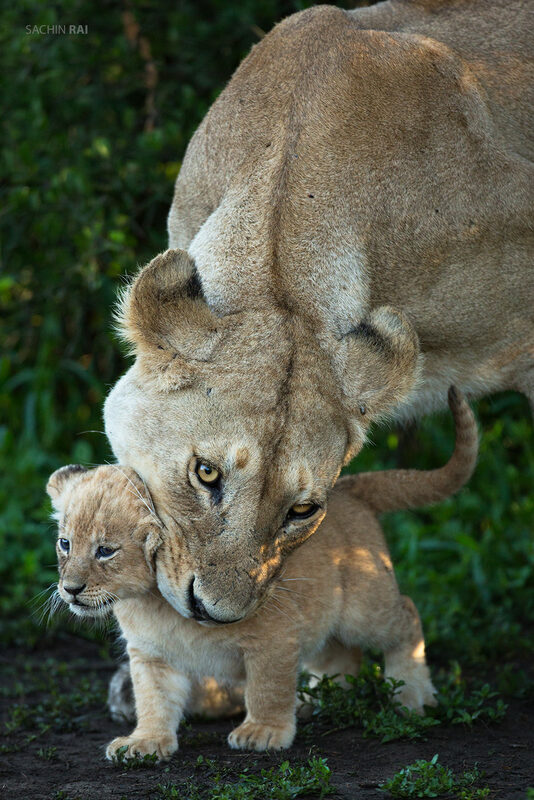 A lioness carefully picks up one of her cubs before carrying it inside the bush. 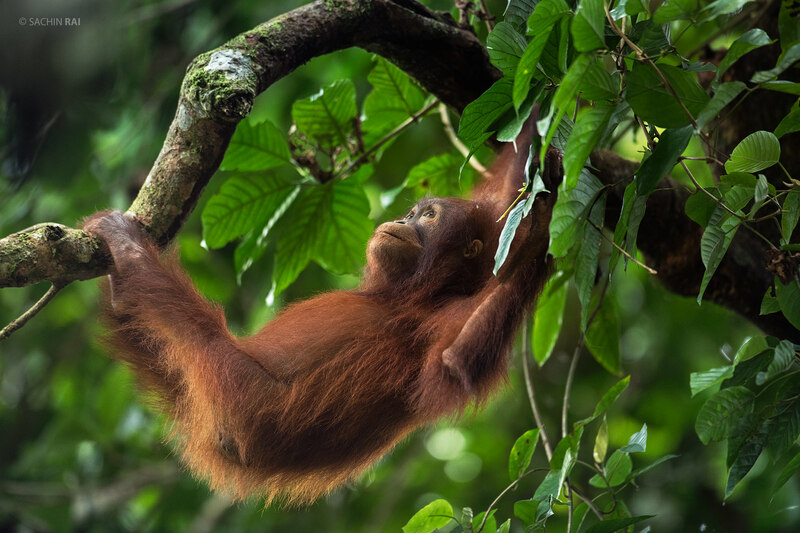 A baby orangutan hanging on a tree in the forests of Borneo. 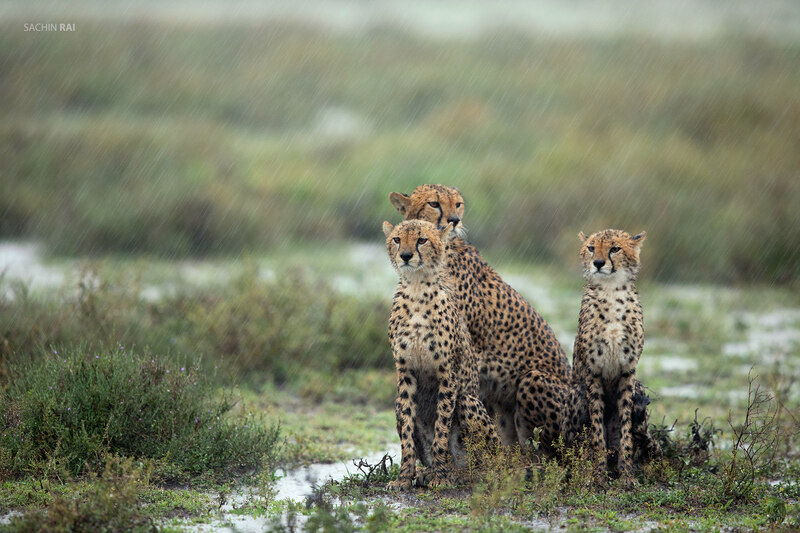 A cheetah and her two cubs getting drenched in the rain in Ndutu, Tanzania. 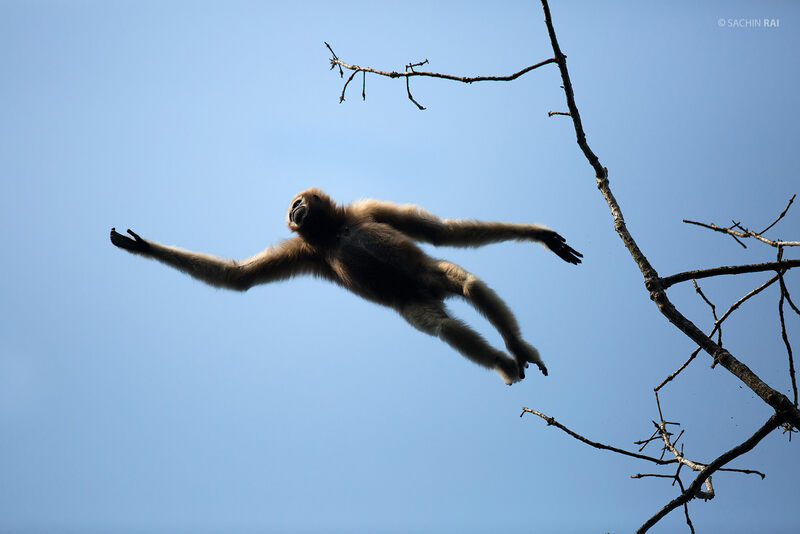 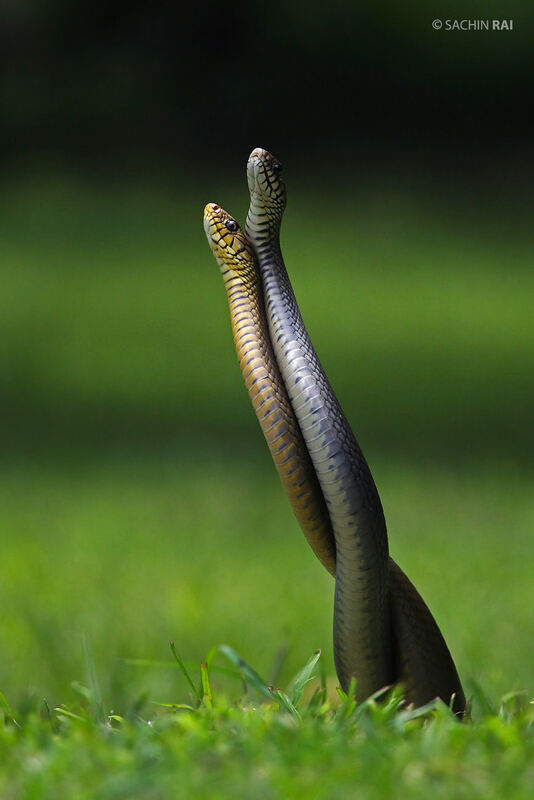 A female Hoolock Gibbon jumping off from a tree in one of the forests in Assam, India. 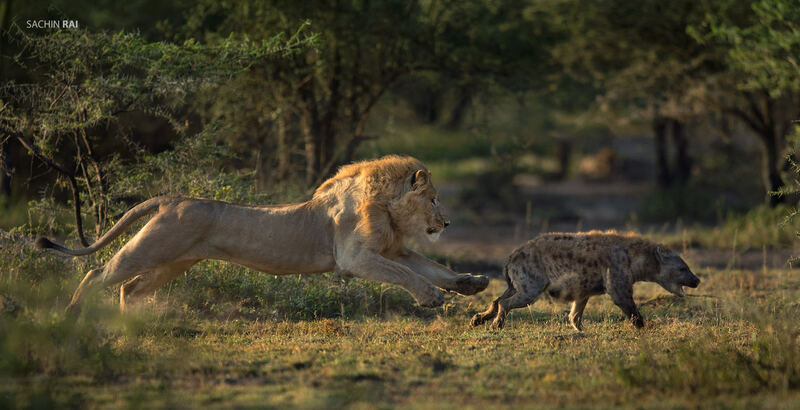 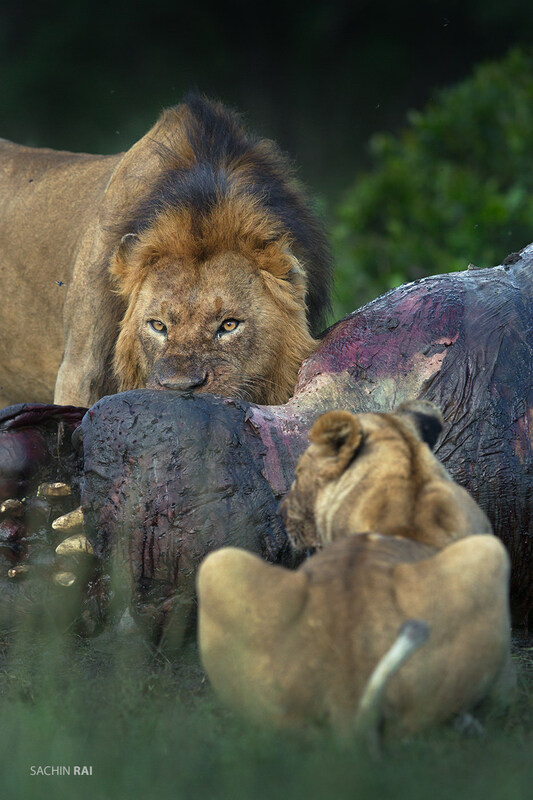 A male lion sprinting towards a hyena in Ndutu, Tanzania. 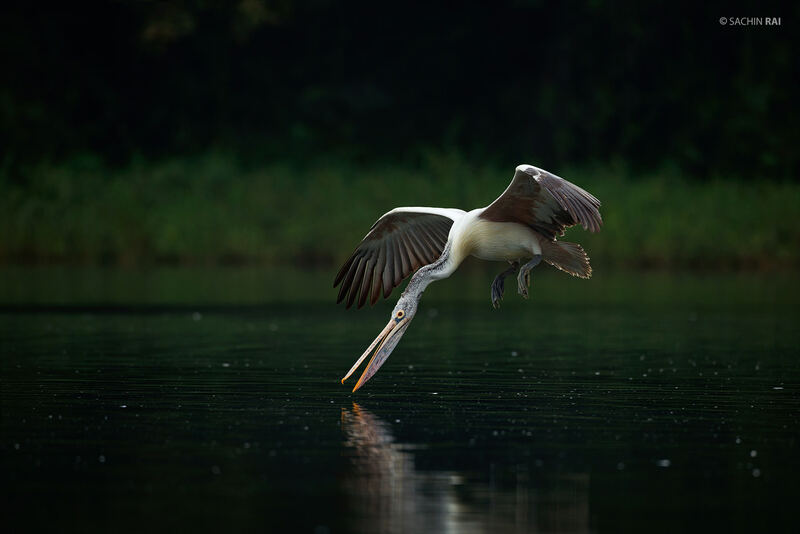 A spot-billed pelican just before scooping water in its bill. 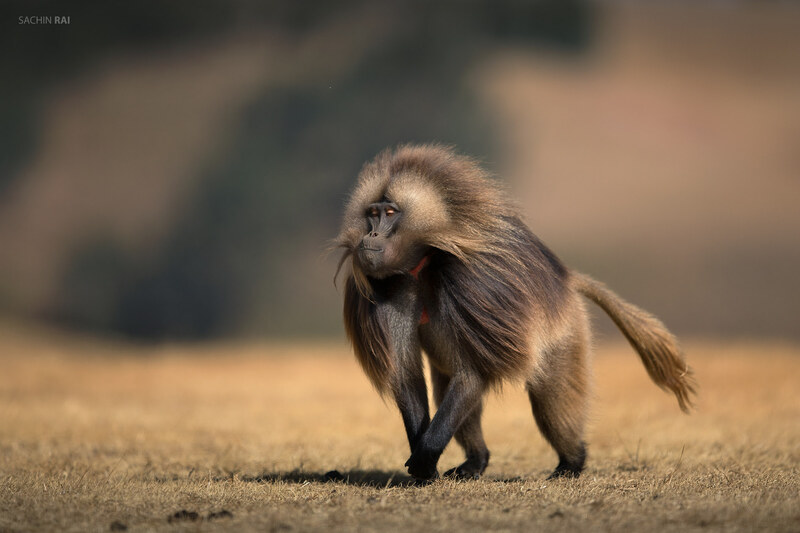 A male gelada baboon flashes his eyelashes as he walks towards another male in the vicinity. 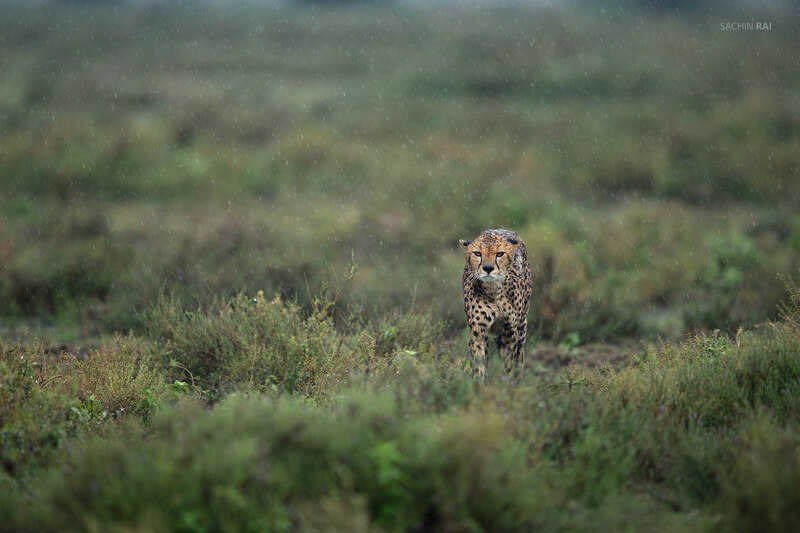 A cheetah intently walks towards an Thompson's Gazelle in the rain. 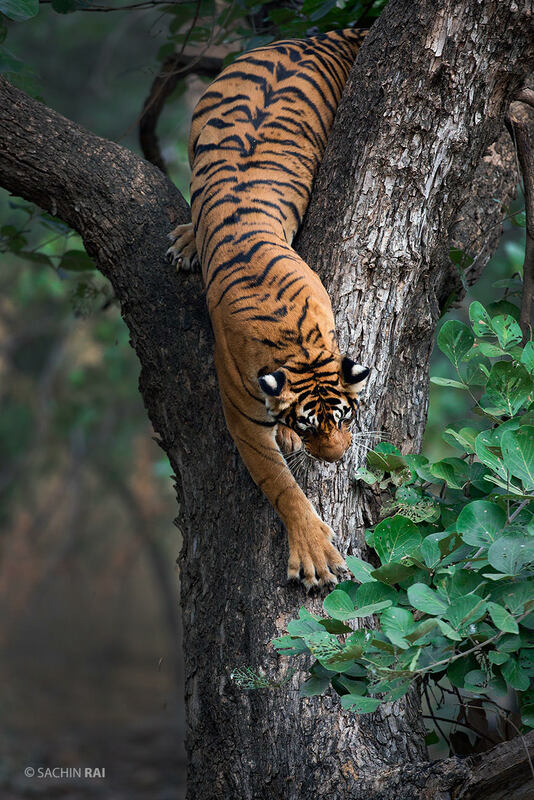 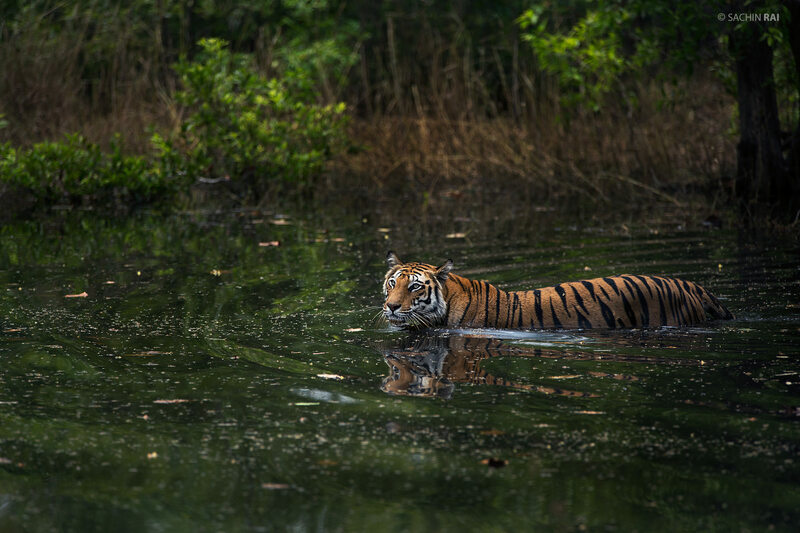 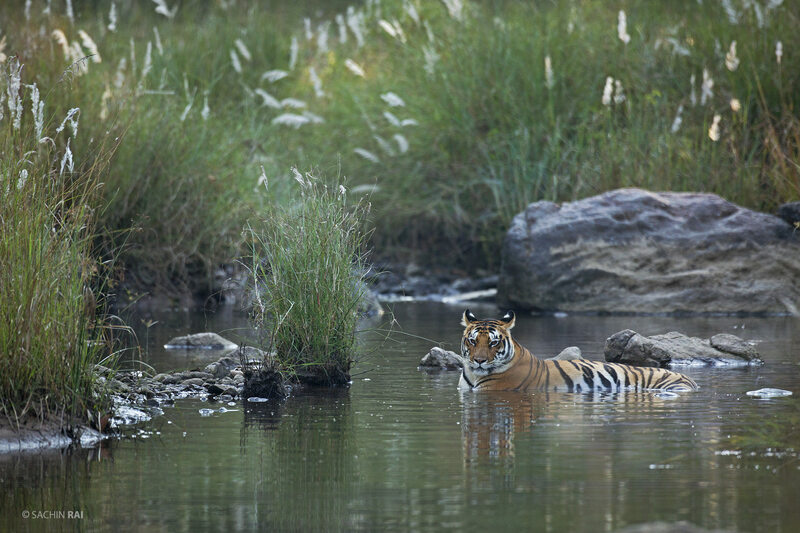 Tigers often tend to spend time in and around water bodies in the summers in Central India. 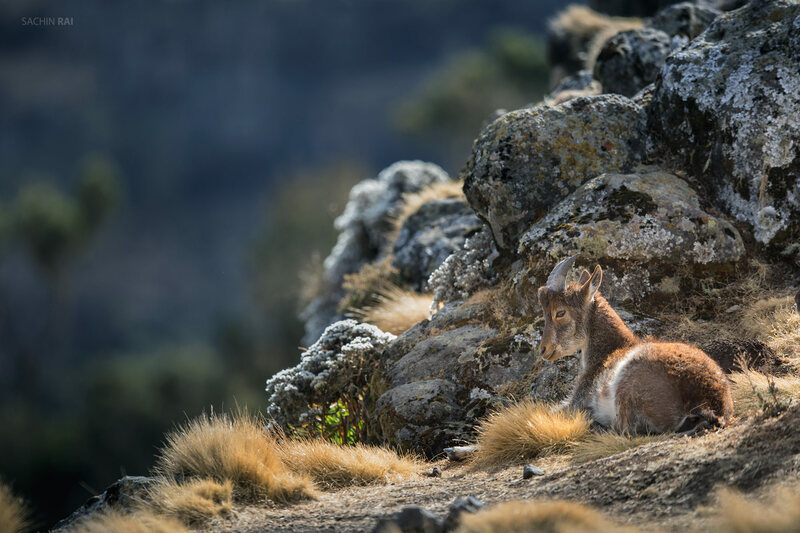 The Walia Ibex is an endangered species of Ibex from Ethiopia. 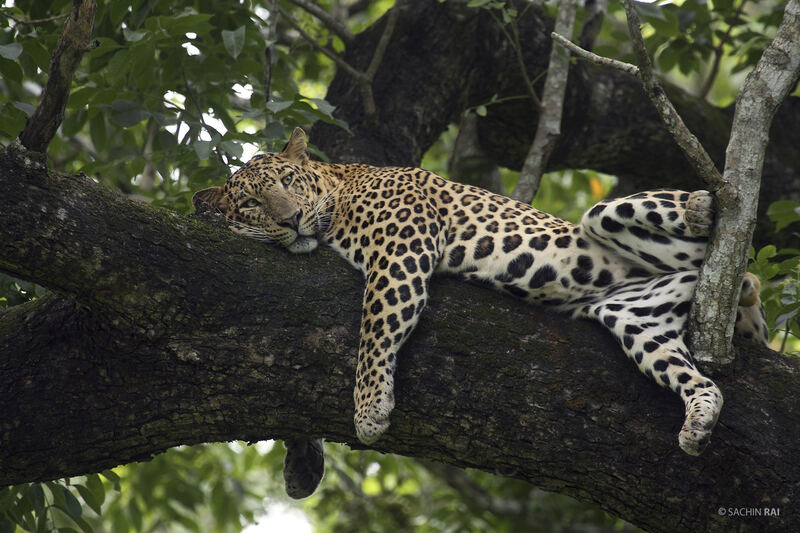 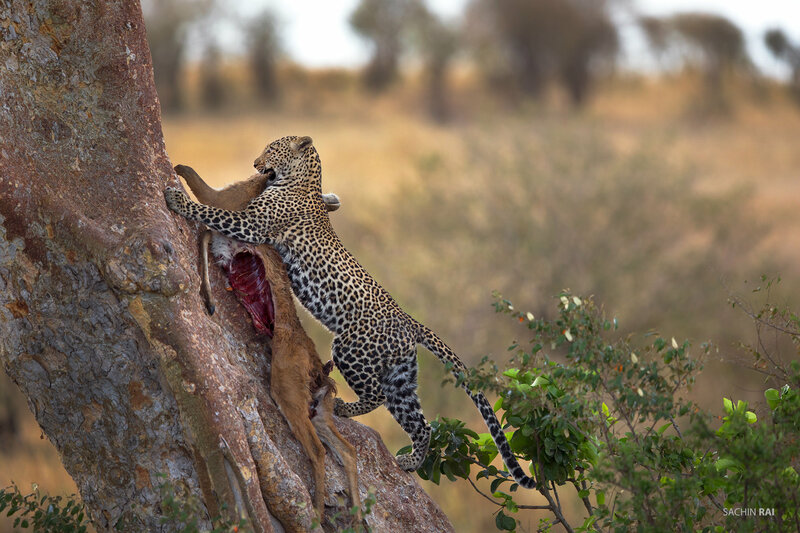 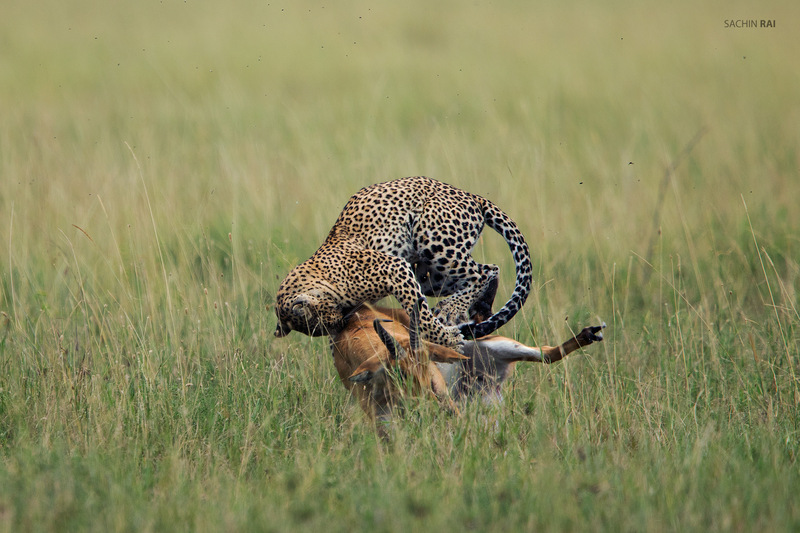 A leopard carrying a carcass of a reedbuck up a tree in Masai Mara. 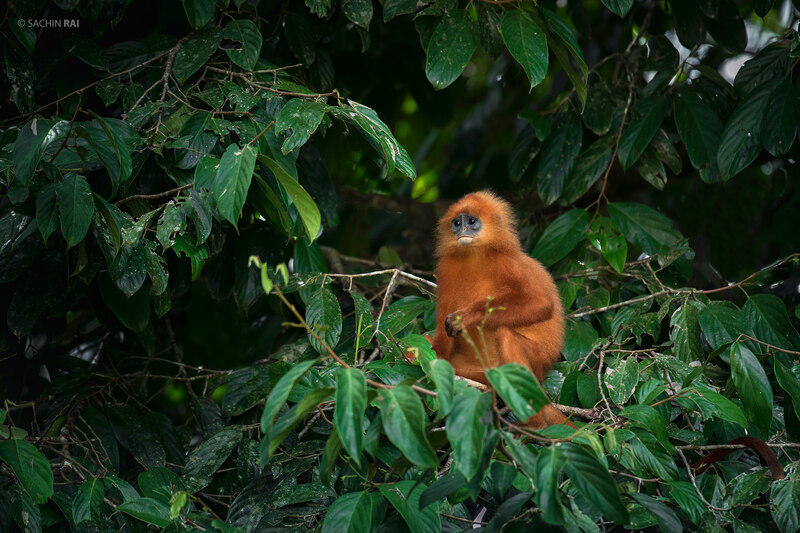 A red leaf monkey from the forests of Borneo. 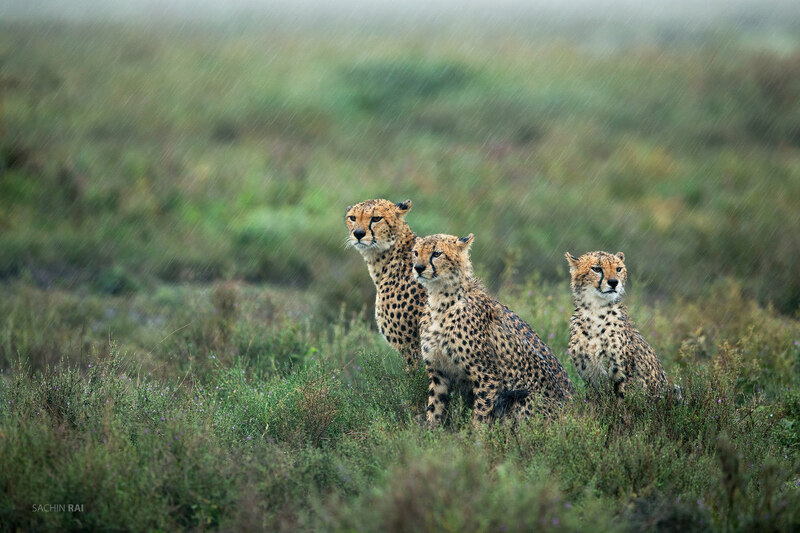 A cheetah family getting drenched in the rain in Ndutu, Tanzania. 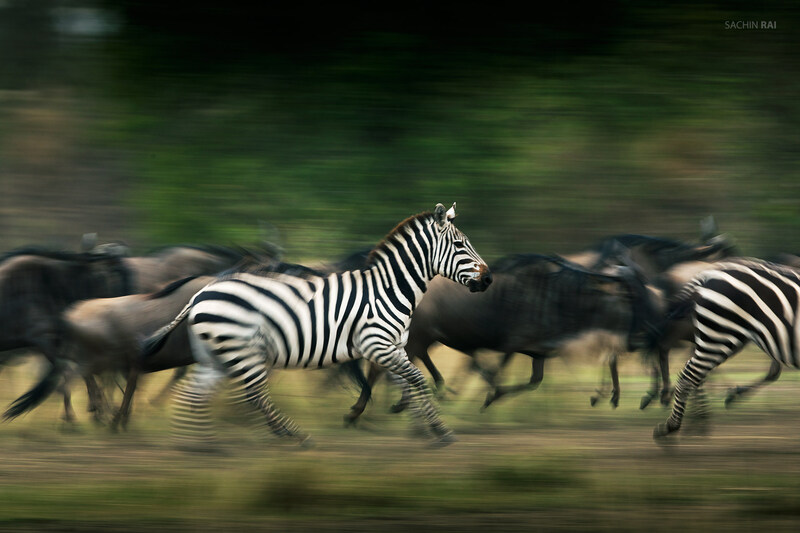 A herd of Zebra and Wildebeest rushing towards the Mara river in Masai Mara. 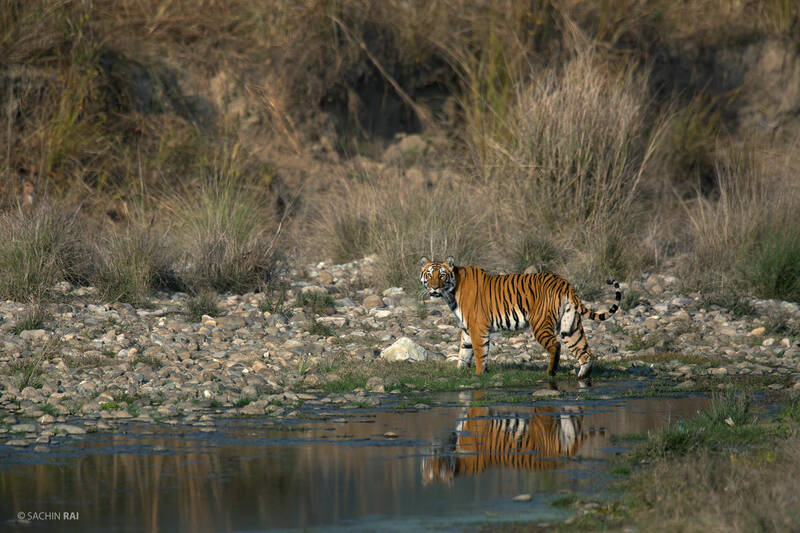 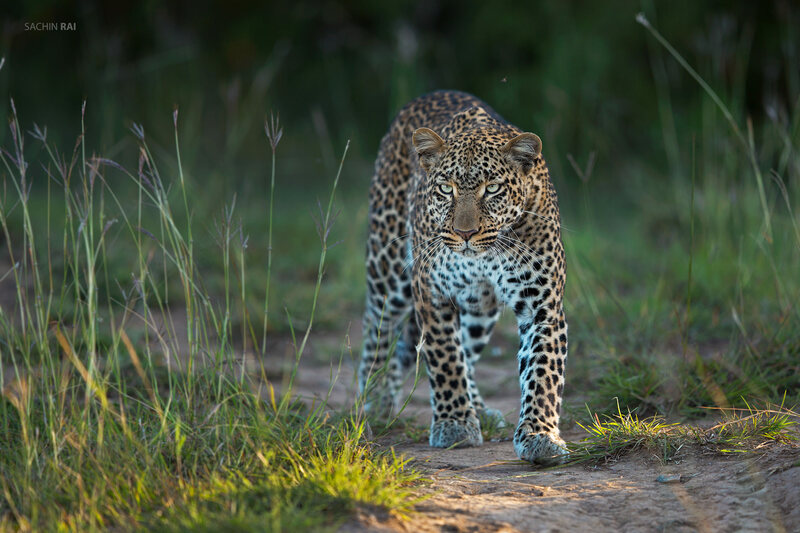 This tigress glanced at us once before she disappeared into the tall grasslands again. 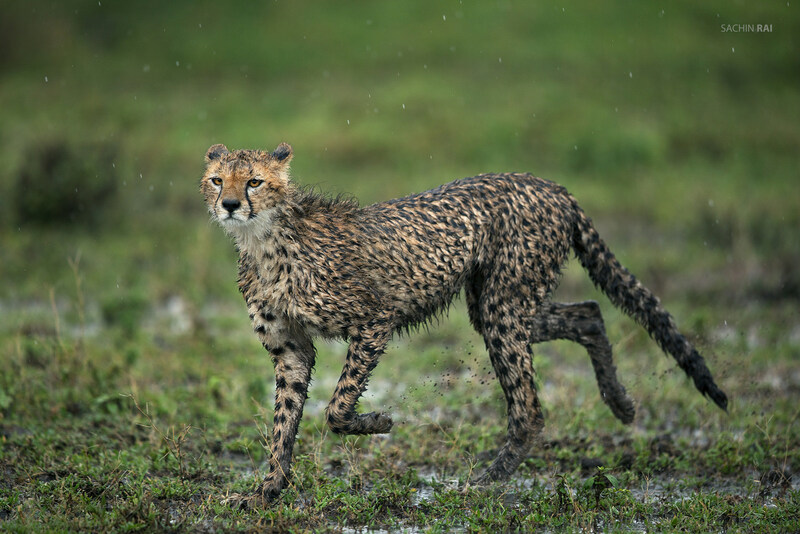 A cheetah cub trying to catch up with her mother in the rain. 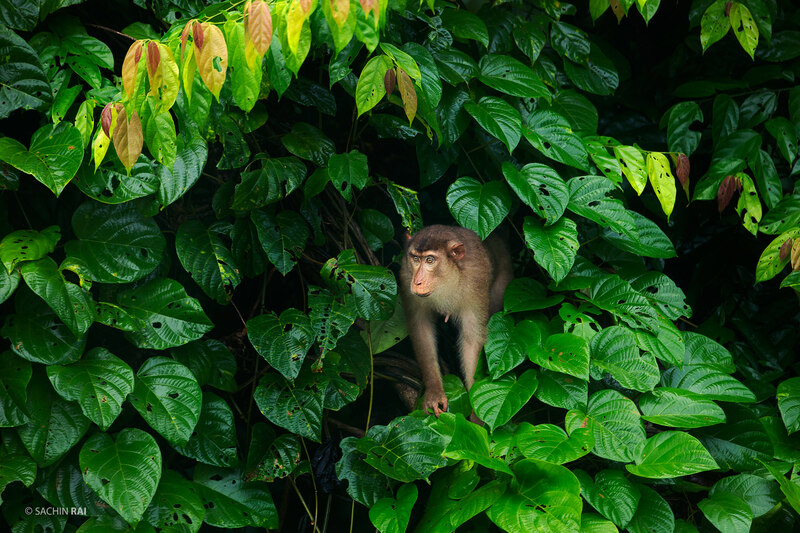 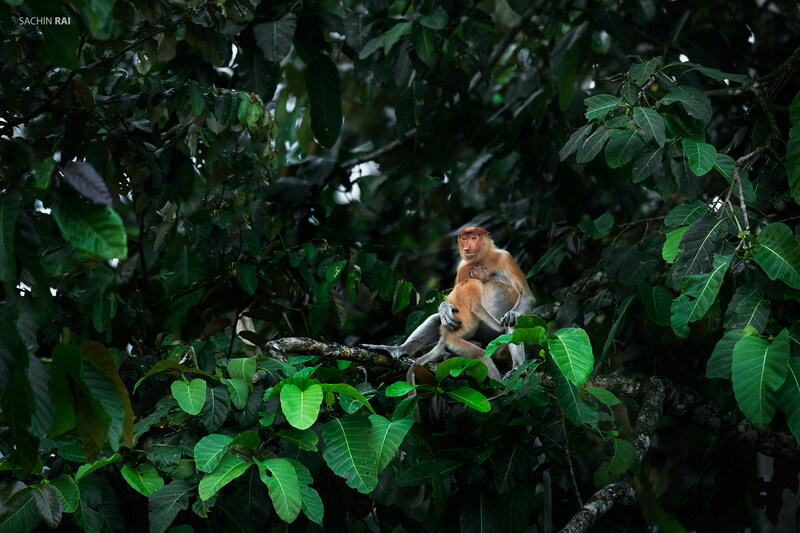 A pig tailed macaque from Borneo. 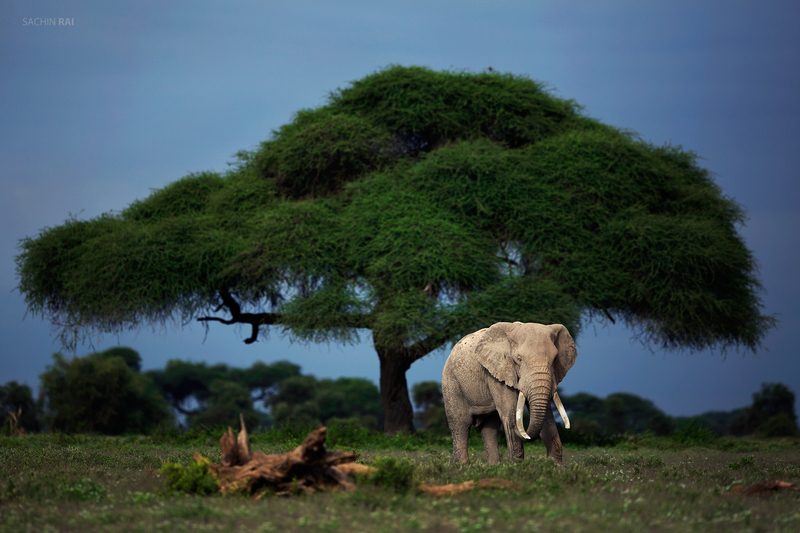 A bull elephant feeding in front of an Umbrella Acacia tree in Amboseli, Kenya. 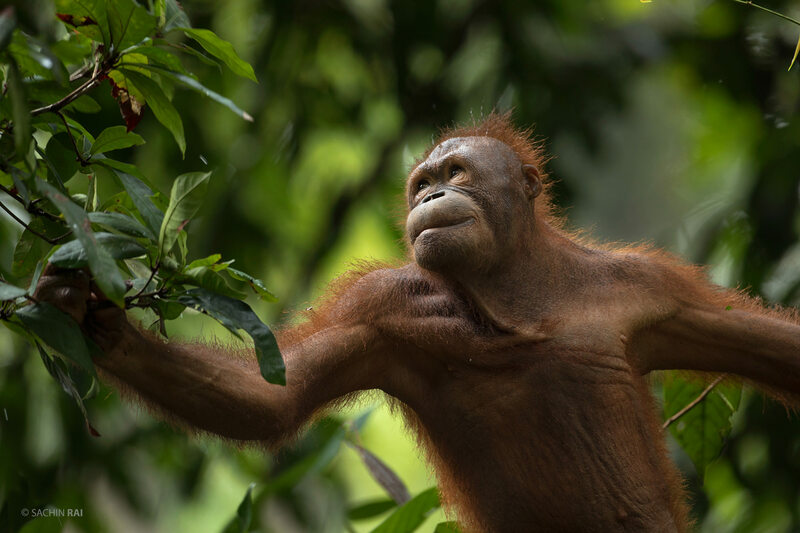 A young male Orangutan moving from one tree to another. 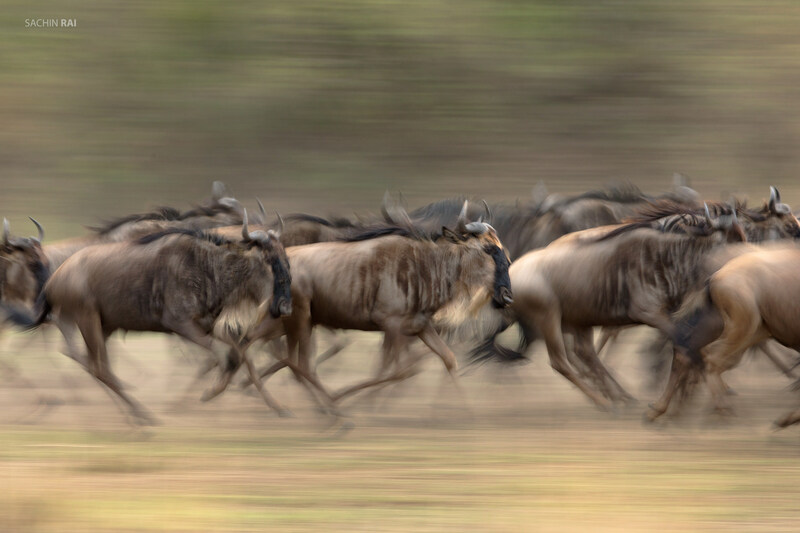 A pan shot of wildebeest rushing towards the Mara river in Masai Mara. 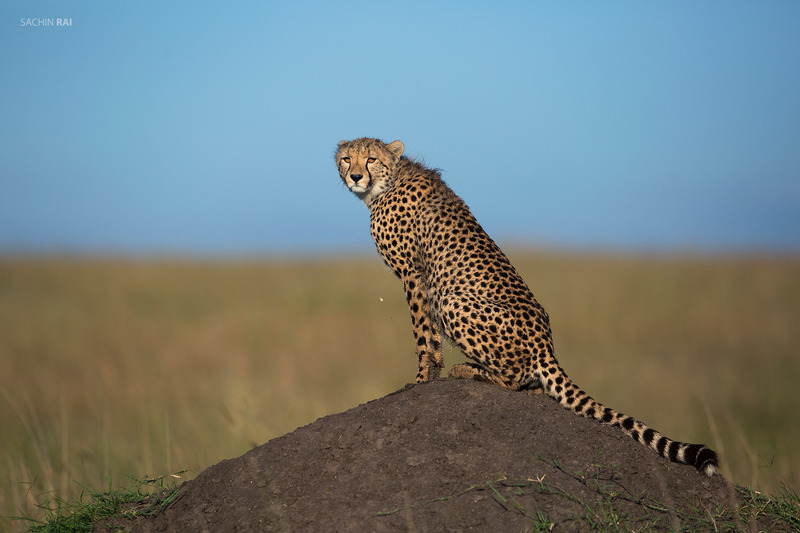 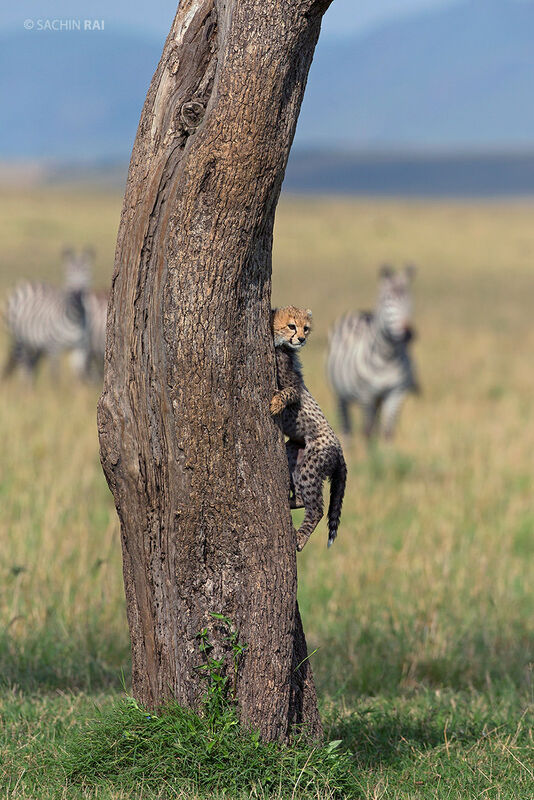 A cheetah on a termite mound in Masai Mara. 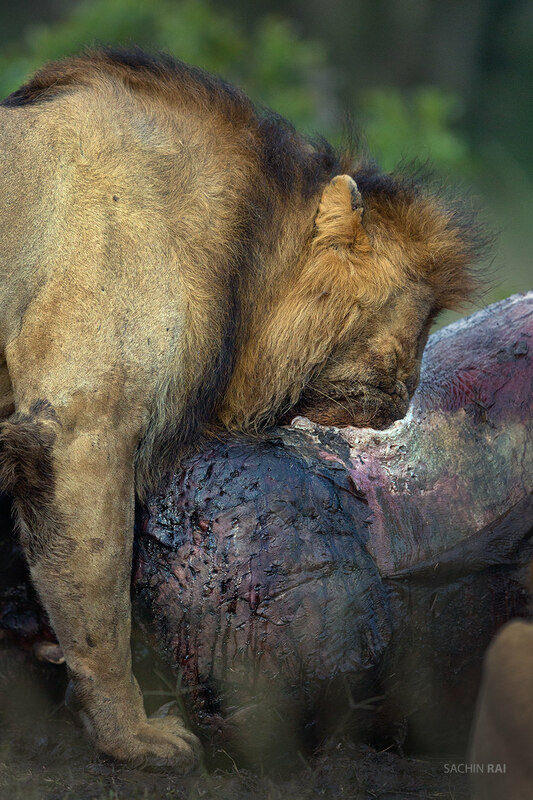 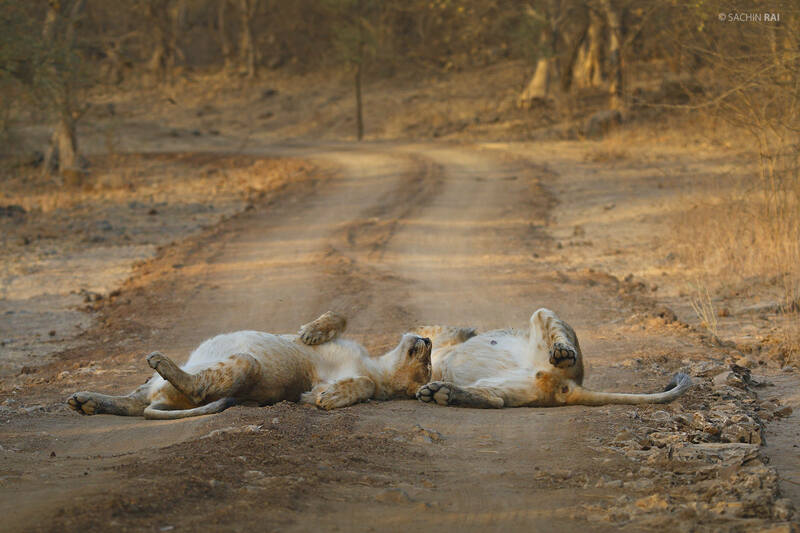 Two Asiatic lion subadults lay on the safari track in Gir, India.